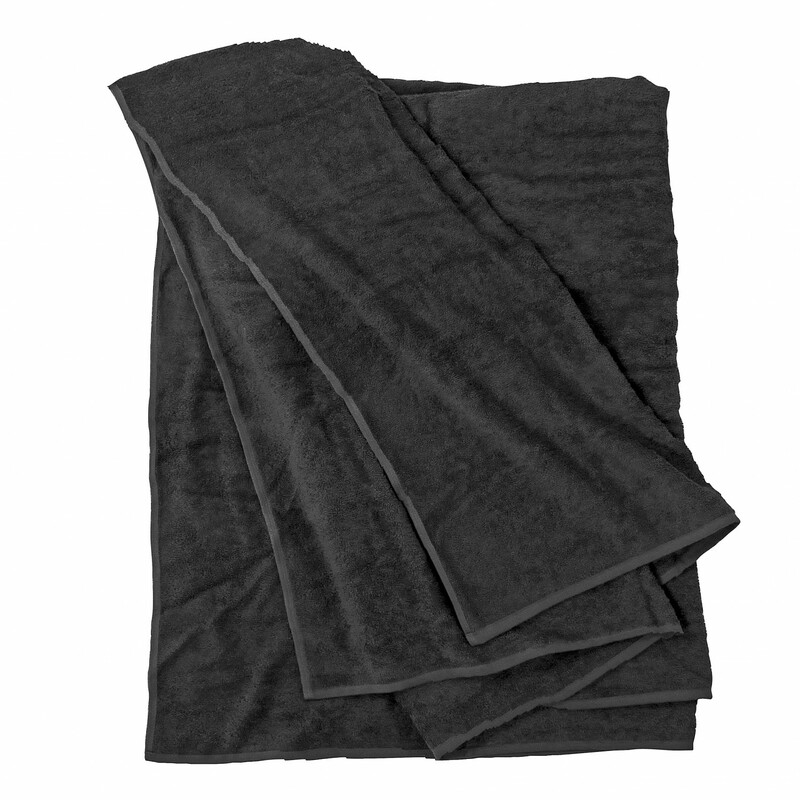 This beautiful black towel convinces with best quality and manufacturing. 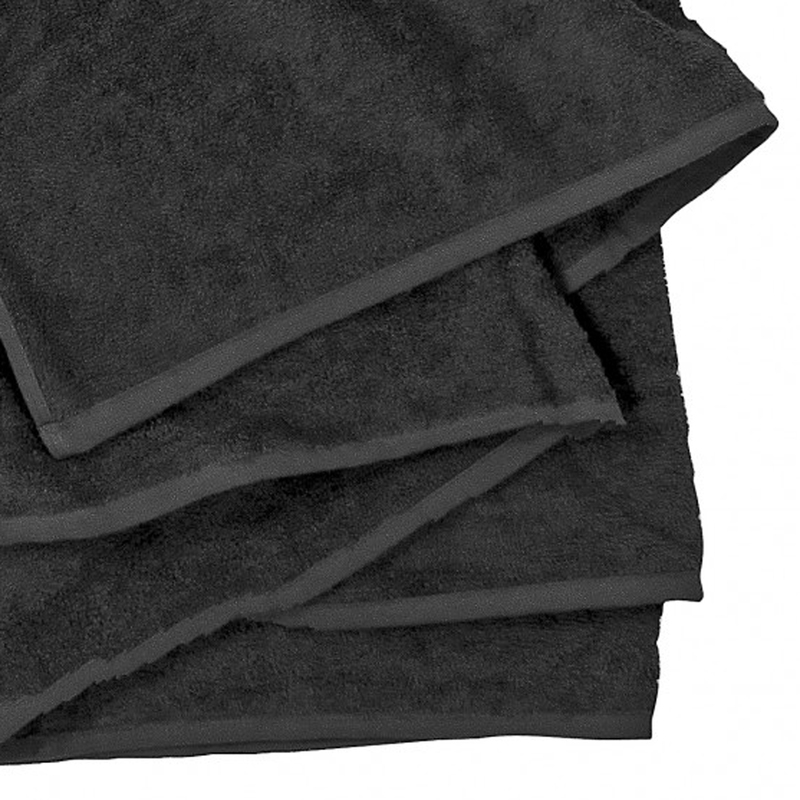 The material contains 100% cotton and has a weight of 400gr/m² which is very few. At the production especially carded yarns were used. Ideal companion for holidays at the beach, at home in the bathroom or at the swimming-pool. It convinces as well as presents for relatives and friends or as promotional gifts. Not only for domestic use it is a cheap alternative for hospitality inventory. Available in great sizes from 100 x 220 cm and 155 x 220 cm.